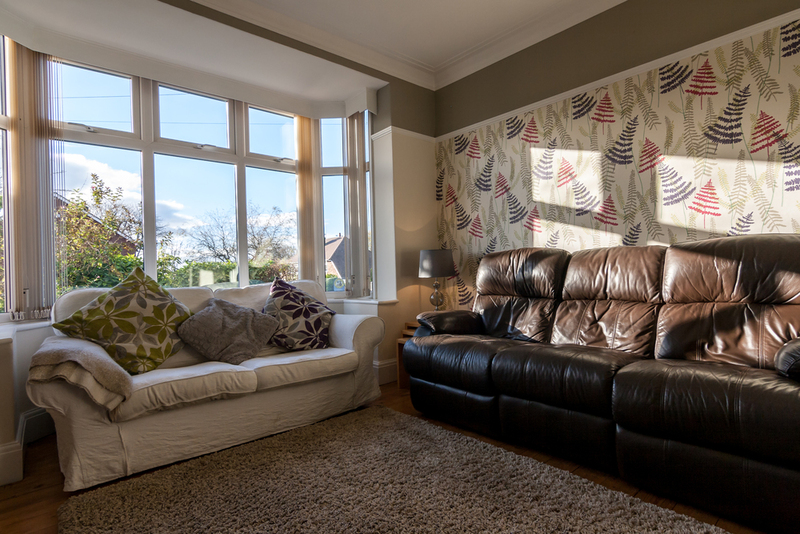 This project designed and decorated by DJK Interiors was a complete refurbishment of this 1930's living room. We initially created 3D mock up images of the proposed space, prior to commencing work. Structurally, part of a dividing internal wall was removed to create a large open plan living / dining space and the fireplace was re-instated with a modern looking multi-fuel burner. The carpet was removed to reveal beautiful original floor boards which were then sanded and varnished.